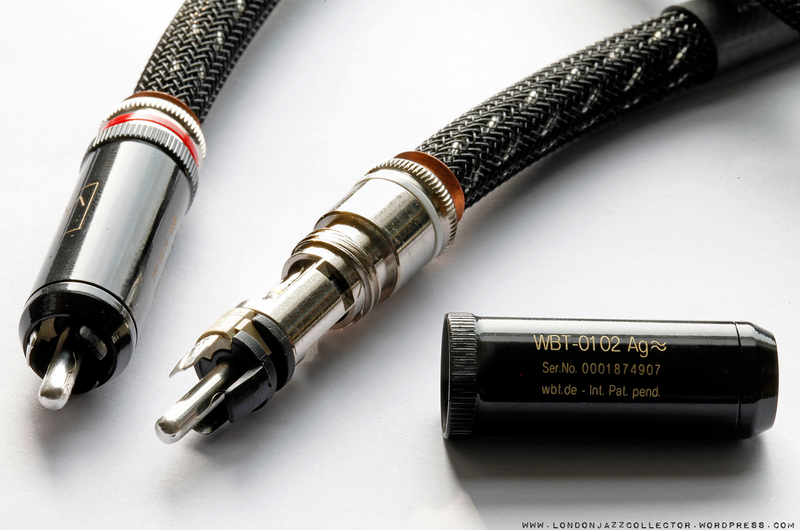 The pursuit of audio excellence requires something special, in this case, the German WBT 0102 Ag silver plug to match the silver wire of a Kimber 1036 interconnect. Not all RCA phono plugs are equal and WBT are said to be the Gucci of plugs. What’s special about them? The plug’s all-important central contact conductor is pure silver, designed with reduced mass to allow the use of pure metal rather than alloy. Silver has lower electrical resistance than copper, offering the fastest possible signal transmission, which translates into audible benefits. The earth return point of connection with the socket is a small defined point made by a single thin silver tab , rather than an imperfectly circular meeting of large surface masses, as in an ordinary phono plug. The “defined point” contact is said to provide stronger voltage transmission, and therefore better electrical connection. Contact surface pressure is made with moderate force through spring-design, to provide seamless signal transmission at the point of contact. The plug design ensures shielding from electromagnetic interference and minimising so-called “eddy currents”. These occur because current flowing through a signal conductor generates a magnetic field which spreads cylindrically around the conductor. That magnetic field in turn induces an electrical current in the sleeve, and the whole process draws energy out of the audio signal. The thin-walled sleeve design of the WBH sleeve minimises these eddy currents. The combined result is that a WBT 0102 Ag plug provides a superior audio connection that minimises signal loss and signal interference, and therefore maximises the flow of original signal content, sometimes referred to by the less technically-minded as “music“. It is difficult to unpick the contribution of the plugs from the contribution of the cable, but given the main expense is in the cable, it would seem short-sighted to put anything but the best at either end of it. The combined effect of the Kimber high-end cable and WBT plugs, accompanied by an electrical breaking-in process called “super burn in”, is nothing short of “transformational” : a spacious and airy musical image which extends many feet beyond the speakers (why does that happen!?) seduces the listener, without the slightest “hi fi” artefact, pure music. 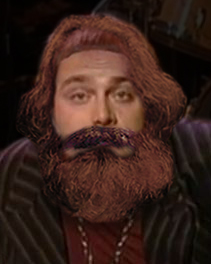 On your Marx. It is an oft-repeated maxim that the Law of Diminishing Returns applies to Hi Fi improvement, as everything else. It takes more and more money to yield smaller and smaller improvement. It sounds logical, persuasive and you accept it as a price to be paid for improvement. It’s like an immutable law of Physics. A lot of our thinking, and action, is based on this sort of received wisdom, borrowed from other fields of endeavour. The model of Diminishing Returns – a gently flattening curve between cost and improvement – is completely wrong. The relationship applied to Hi Fi is, in my experience, entirely random. A small expenditure can make a huge difference, or absolutely no difference. A large expenditure can make a momentously huge improvement many times its expected “diminishing step”. Equally a very very expensive improvement can have a crippling effect, sending the curve plunging down instead of up. How is this to be explained? I don’t know but I suspect it is because a real Hi Fi is a highly complex set of poorly understood relationships (as opposed to a “model” of how HiFi works). 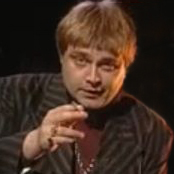 Diminishing Returns is simply a bad model that fails to explain what happens, but everyone is very comfortable with it – both those that buy and those that sell Hi Fi – because it offers the illusion of control over outcomes in an uncertain world, in exchange for money. If outcomes are random, no-one any longer knows what to do. They are not entirely random of course. For example, use of a cheap unshielded kettle lead will always cripple the quality of sound, but many “improvements” are unpredictable in their magnitude and can be unexpected in their direction. Welcome to the world of trial and error, listen to what happens. Forget the why, concentrate on the what. There are two books found on the LJC bookshelf, each a title with a message for our times. One, a self-help manual, recommends “Freedom from Fear”. The other, the Erich Fromm classic, considers our “Fear of Freedom”. Neither contains any explicit reference to music or Hi Fi, but perhaps, in some ways, they both do. IMO, the Best sounding RCA/Phono Jacks are the Switchcraft SWC-3502A and at a cost of a whopping $2.25 each! A no Brainer and if they are good enough for Mr Shindo’s Silver Interconnects, They’re good enough for me.